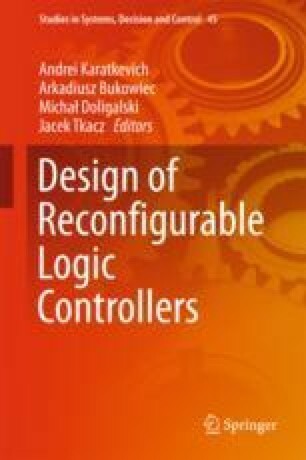 The paper describes usage of UML methodology in digital logic control modeling, which is one of few stages of digital logic controller development life cycle. The digital logic control modeling process is compared with traditional and well known software development methodology. In the comparison the differences are particularly emphasized. The main differences are connected to analyzing process and modeling aims. In case of software development crucial role plays object analysis which is meant to bring creation of data model. In case of digital logic controller design main activity in modeling is behavior analysis which is aimed to specify formally and precisely controller behavior. Łabiak, G. (2015). HiCoS Homepage. http://www.uz.zgora.pl/~glabiak.